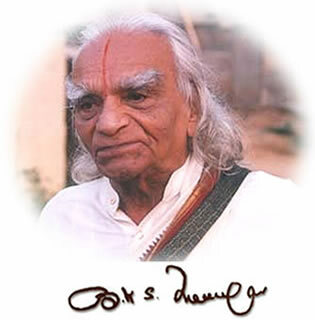 Yogacharya B.K.S.Iyengar (Guruji) is a legend who has taught yoga in a unique way to all his students. He found the meaning of the yoga sutras by practical search and regular practice of yoga. Thus, he has helped all to experience the wisdom of the yoga sutras. His style of teaching yoga is called "Iyengar Yoga" and is now being followed by certified teachers across the world. 2009 BKS Iyengar taught a workshop in Moscow, around 600 people attended (I was lucky enough to have been one of them), with spaces fiercely contended.